Some people need a little something sweet after every meal. I am totally one of those people. The downside of this is that all those calories add up over time, so I’m always seeking treats that satisfy my sweet tooth while still being reasonably healthy. 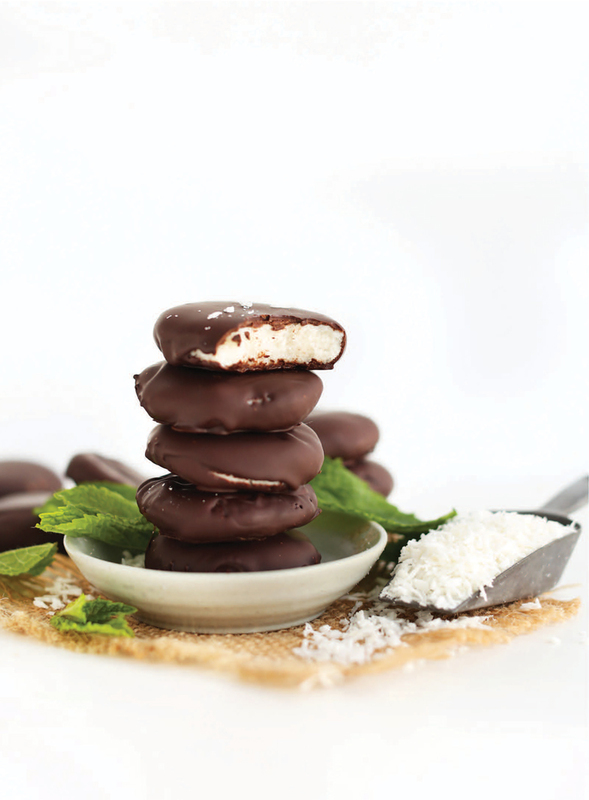 These 5-Ingredient Peppermint Patties from Minimalist Baker’s Everyday Cooking fit the bill. We all know the benefits of ingredients like dark chocolate and coconut oil, but what I really love about this recipe is the peppermint oil. Food-grade peppermint oil is perfect for soothing upset stomachs and that strong mint flavor has a way of putting the brakes on your eating—because everything tastes a little bit off after you’ve eaten something minty, right? Having a minty treat like this after dinner helps signal to your brain that you’re done eating for the night. Minimalist Baker’s Everyday Cooking is all about easy vegan recipes that require fewer than 10 ingredients, less than 30 minutes to prepare, or only 1 bowl or pot. Bonus: most of the recipes are also gluten-free. If you’re trying to eat healthier, but have difficulty finding the time or motivation to do it, this cookbook will become a fast favorite.